Eleusyve Productions Staging Aleister Crowley’s The Rite of Saturn This September – Zero Equals Two! On September 6th, 2018 Saturn will go direct in Capricorn, and will remain in Capricorn and Aquarius for the next 5 years. This week will also mark the dates for the opening of Aleister Crowley’s The Rite of Saturn, a rock opera. This is the first play of The Rites of Eleusis, properly speaking, and the final play to be staged by Eleusyve Productions, the Alpha and Omega of a 17 year musical exploration of the planetary Rites staged by Crowley in 1910. There will be 5 performances of The Rite of Saturn at The Black Box Theater at Edmonds Community College on September 7th, 8th, 13th, 14th and 15th. 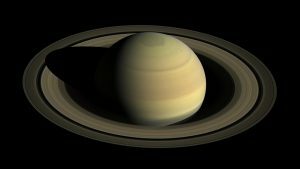 The planet Saturn is revered as the bringer of Form and Structure, and as a teacher of life lessons. In this thoughtful and entertaining presentation, Thelemic initiate and teacher Dr. David Shoemaker will discuss the ways in which we can learn from the apparent restrictions life places upon us. When we feel boxed in, learning to think INSIDE the box is often the key to our own self-liberation. This lecture will begin by covering the basics of the astrological, mythological and Qabalistic significance of Saturn, before delving into the living, breathing, experiential aspects of these symbols. And how we can use them to our advantage.